Billionaire John Kluge has died in 2010 and his family is likely to avoid over 3.5 billion dollars of tax on his seven billion dollar estate. Want to know more about how the federal estate tax - slated to return soon and to apply to more families than ever before can be legally avoided or minimized? Click here for information on billionaire John Kluge, and estate taxes. Frees is an attorney with offices in Malvern, Phoenixville, and West Chester Pennsylvania. His practice is limited to trusts, estates, wills and probate, estate planning and asset protection. many experienced in representing business clients in succession planning, tax, and estate planning matters. Then call and ask one of David's assistants at 610-933-8069 to set up an appointment and to see if you can work directly with David or one of his partners, or associates. It may be one of the most important calls that you ever make. 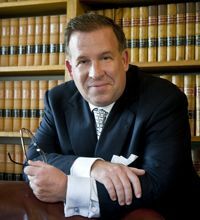 What do clients and lawyers say about David M. Frees III? Click here for more information. Do you have a family dispute involving a will, trust, estate or family business? Are you looking for a way to avoid the high costs and delays of litigation? Trying to find a way to keep family relationships intact?